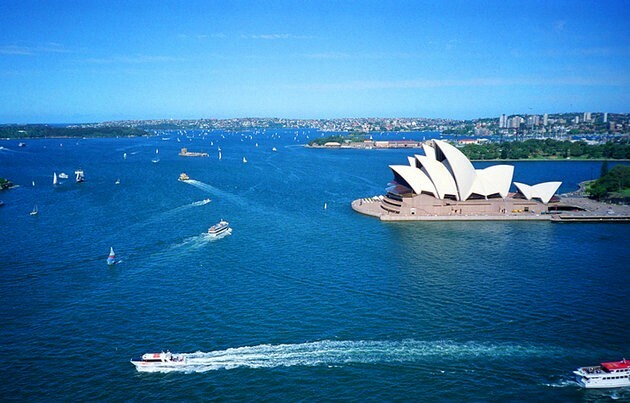 When people think about "Sydney, Australia", the Opera House is the first thing they think about. It's world wide known and also recognized as one of the best places to see an opera. It's shaped like a huge shell and this beautiful breathtaking building on Sydney's Bennelong Point graces the list of UNESCO World Heritage sites and is part of the world's great architectural icons. 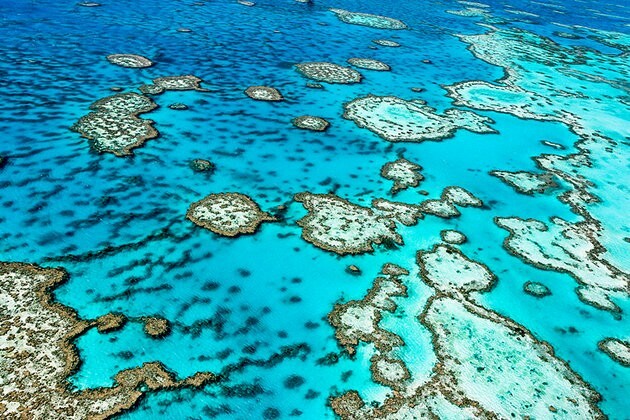 This beautiful reef is visible from outer space, also being part of the World Heritage-listed as one of the largest living structures on the planet. 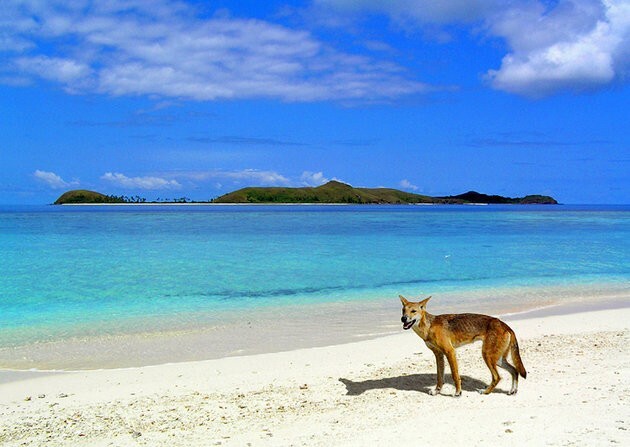 The Great Barrier Reef Marine Park was established on 1975 to protect its fragile ecosystems, that include more than 3,000 coral reefs; 600 continental islands, that include the beautiful Whitsunday group; 300 coral cays; and inshore mangrove islands. The Great Barrier Reef is one of the seven wonders of natural world, its park stretches for 2,300 km along the state of Queensland, on Australia's east coast (whose distance would be between Mexico and Vancouver). 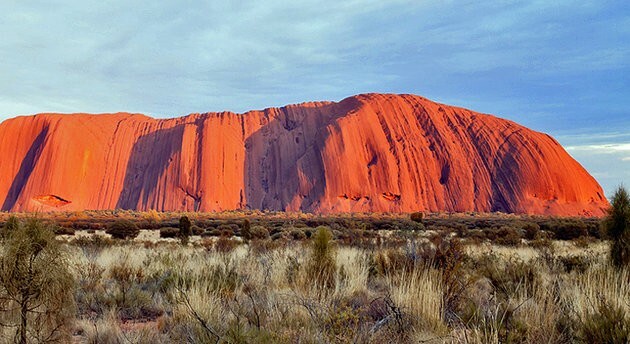 Deep in the heart of the Australia's Red Centre, you can find Uluru (formerly known as Ayers Rock), it's part of the list of the most photographed natural wonders in Australia. This red striking monolith is part of the centerpiece of Uluru-Kata Tjuta National Park, one of the World's Heritage Areas jointly managed by Parks Australia and also the traditional landowners, which are the Aṉangu people. Alsp in this park, you can find the red dome-shaped rocks known as Kata Tjuta (the Olgas). 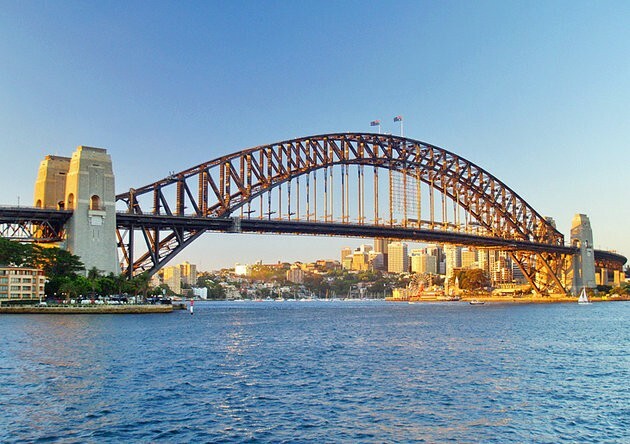 The Sydney Harbour Bridge is one of the most known and famous features in Australia. It's called "the Coathanger" with love, this amazing piece of contruction is the largest steel arch bridge in the world. Being finished in 1932, it's 40 years older than the famous Sydney Opera House. 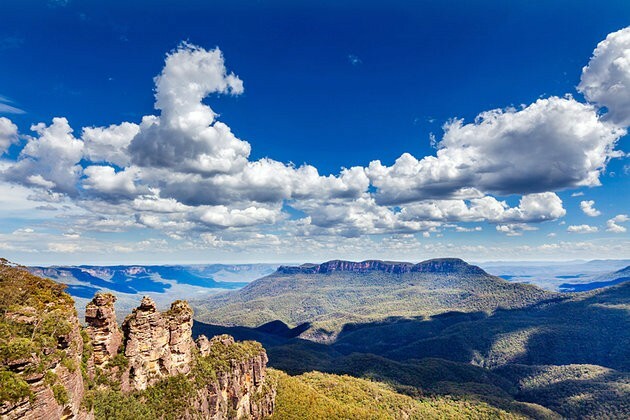 This a UNESCO World Heritage Site, the beautiful Blue Mountains National Park is 81 km to the west of Sydney and is a popular day trip from the city. They are named for the blue haze that emanates from the many eucaliptus trees. The towering sandstone rock formation, also known as the Three Sisters, is the most famous attraction in the park. The Katoomba Scenic Railway, is one of the other attractions here. It's the world's steepest, which yanks the passengers down the Jamison Valley through a Cliff side tunnel into an accient rainforest. Melbourne is Australia's second largest city, being a popular stop on many Australia itineraries. This sophisticated city is located on the Yarra River and some of its main draws are the galleries, theaters, restaurants, shops, and a particular European feel. 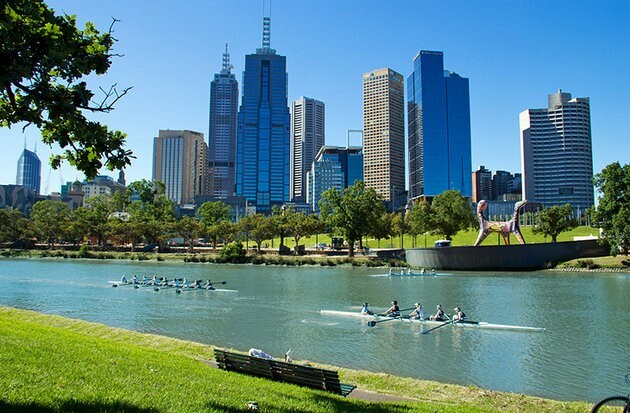 Melbourne is also known as a green city because of all the Parks, gardens, and open spaces that occupy aproximately a third of its total area. The main attractions would be the Royal Botanic Gardens, the National Gallery of Victoria, and the Melbourne Cricket Ground in which the sports fan can watch cricket in the summer and Australian Rules football in the winter. In the east, greater Melbourne extends into the amazing Dandenong Ranges, while in the south it extends to the Mornington Peninsula where many of the locals escape for seaside getaways. 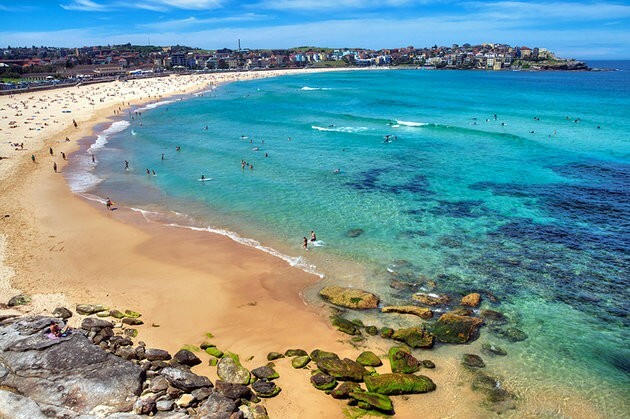 Bondi Beach is one of the world's most famous beaches, being only a 15mins trip by car from the center of the city, it's home to one of the oldest surf life-saving clubs in the world. The tourists and locals like to visit the Sunday markets and enjoy at the ocean pool or go to the skate park. A variety of shops, cafes, and restaurants can be found across the street from this famous coastal strip, and the beach being a popular place during Christmas and New Year's Eve. 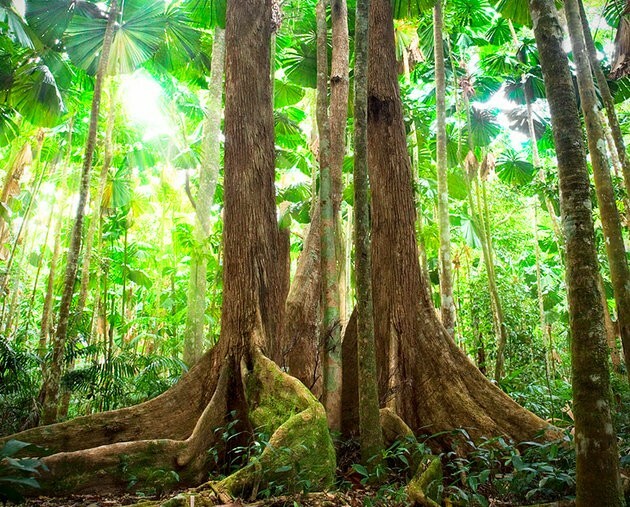 The Daintree National Park is a Wet Tropics World Heritage Area, it's located in Far North Queensland being among the most ancient ecosystems on the Earth. The area belongs to the Eastern Kulu Yalanji Aboriginal people, andmany of the natural features in the area hold great spiritual significance to them. Mossman Gorge where you can see crystal clear waters gushing over granite boulders. Cape Tribulation where the rainforest meets reef along the white sandy beaches of the Coral Sea. A great base that arranges wilderness safaris into the park is the resort town of Port Douglas. Fraser Island is part of the World Heritage list, it's between Bundaberg and Brisbane off Australia's coast. It's the largest sand island in the world and one of Australia's most one and only unique four-wheel-drive adventures. The visitors can see the rusted hulls of shipwrecks, the colored sandstone cliffs of The Cathedrals, and can also enjoy the bubbling fish-filled rock pools called Champagne Pools. To access Fraser Island, you must take a ferry from Rainbow Beach and Hervey Bay, also because there are no sealed roads, a four-Wheel drive vehicles is essential. 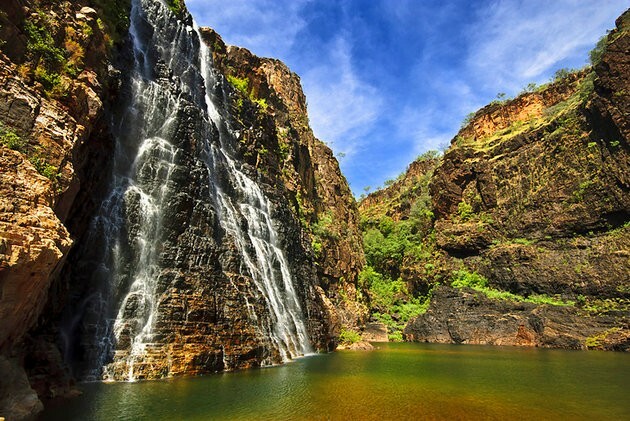 In the Top End or the Northern Territory, there's a World Heritage Site and also one of the planet's great wildetness areas that we might know as Kakadu National Park. Kakadu is the largest national park in Australia and is the second largest in the world thanks to covering more than 19,840 km2. Along its borders lie monsoon forests, mangrove swamps, rivers , ancient rock paintings, wetlands, and waterfalls as well as an amazing variety of wildlife. When there's visitors, they can see the park's amazing diverse ecosystems wether it's by cair, air, or foot through the vast network of hiking trails, or by boat on the rivers of floodpains. Due to heavy flooding during the wet season (Nov-April), many of the roads and attraction will be closed.